The next stage of my Rutland Renovation is the crumbling but beautiful stone wall that is the boundary between next door and me. It looks at least as old as the cottage, built in various sections over 250 years. When I bought my Rutland cottage the wall was virtually hidden under ivy growing from next door. When that went, the damage was clear to see. 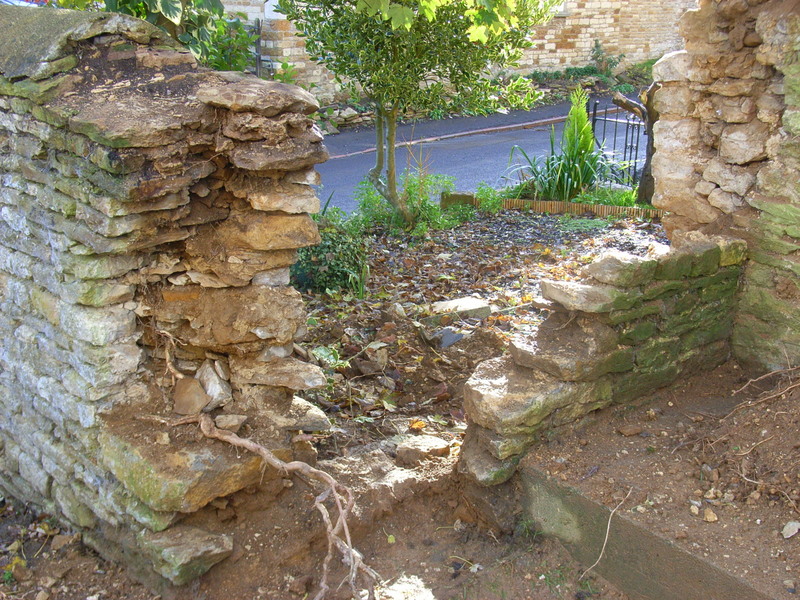 Of course, there was some general wear and tear, but in at least three places serious problems had been caused by penetrating ivy and by fruit trees growing against the wall, literally pushing it over. So, having agreed a 50-50 split on the costs of repair with the neighbour, we’re tackling the ivy with saws and SBK brushwood killer and have cut down the old pear and plum trees. 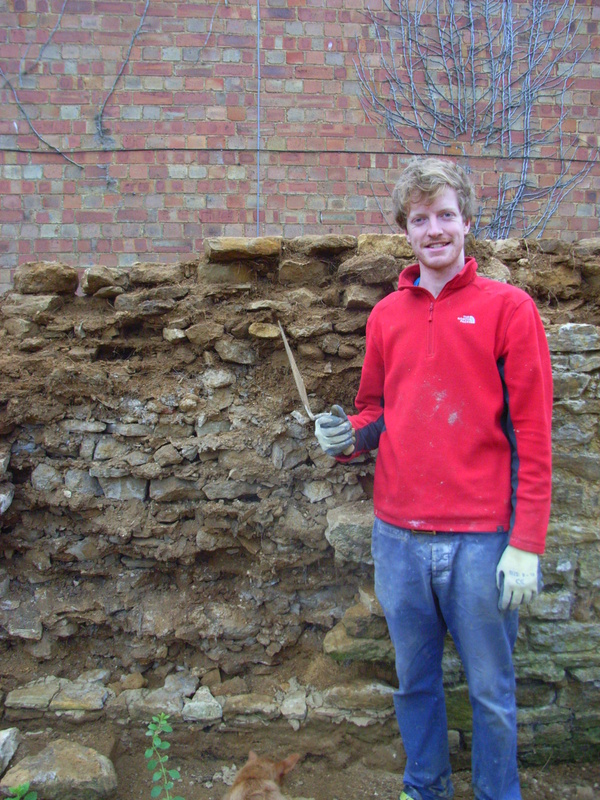 Now, James Newsham, who lives in Wing, is bringing his inherited gift for working in stone, and several seasons of practice, to bear on the wall. 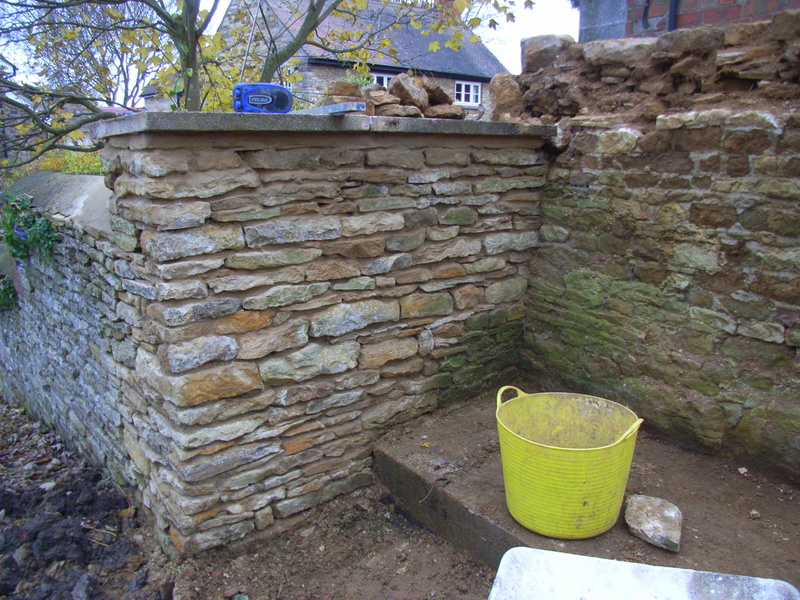 Repairing and building dry stone walls – especially a rubble wall – is a real art. 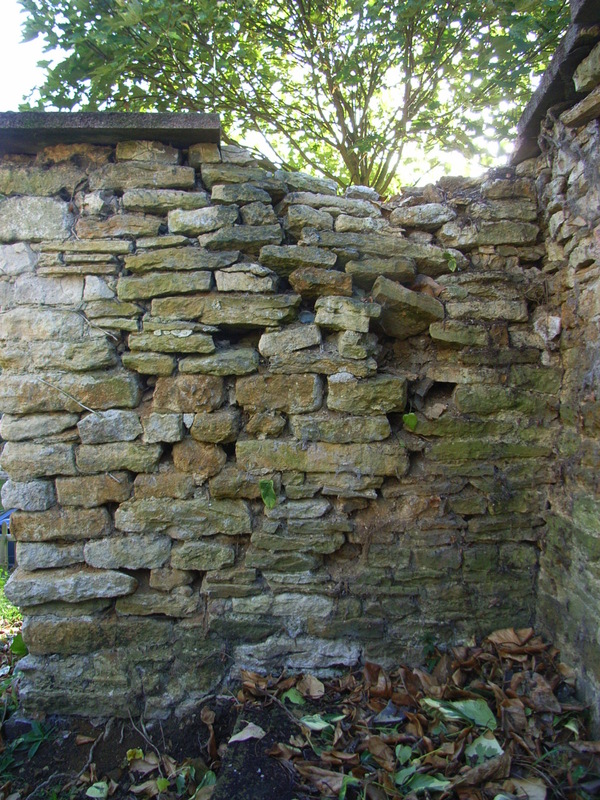 Slowly, and carefully, James is taking the damaged sections of the wall apart, teasing out the penetrating ivy roots, clearing the dirt that fills the middle, stacking stones in logical piles, making a lime-rich mortar with yellow soft sand and white cement and putting it all back together. I have learned that walls have two sides and a middle. From next door the wall looks reasonable because it has been re-pointed within the last 20 years and presents a fairly smooth finish. The re-pointing was a bit heavy handed, so the finish is almost smooth. I doubt if my side of the wall has been re-pointed for 100 years. The last ‘maintenance’ appears to have been topping the wall with grey concrete slabs. The ivy made short work of getting underneath these and running riot. So now James is doing a double-sided re-build in three specific places, and single-sided repairs to much of the rest. Watching this young man – straight out of college after studying architecture – weighing a stone in his hand, looking at it, then at the wall, the line, the tilt…. And putting it exactly in the right place every time: it’s magic! Enjoy your blog/writing very nice. Would like to be in touch with a writing opportunity. Will try you on Twitter as well.